Sri Lanka’s natural heritage is one of the country’s biggest draws. With two marine sanctuaries, 26 national parks and a dazzling diversity of scenery and wildlife, Sri Lanka is one of the world’s ecological heavyweights. The country has its fair share of wildlife celebrities, such as the Sri Lankan leopard, elephant, and sloth bear, all of which can be readily observed in the wild. But visitors also enjoy bird watching, wreck diving, and hiking through Sri Lanka’s storied landscapes. 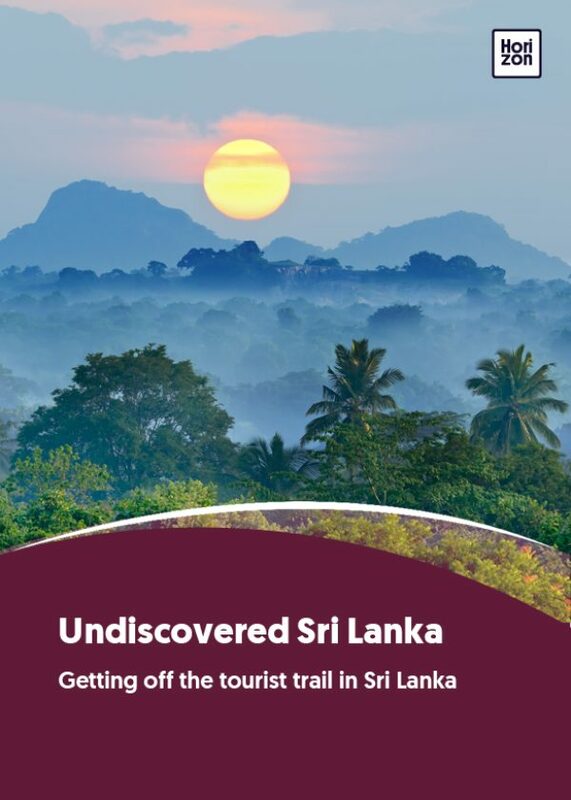 In Sri Lanka you never have to go out of your way in search of nature, but the country’s fame for its natural wonders has come at a price. Many of the better-known wildlife attractions are overcrowded all year round, and there are serious concerns about the impact of mass tourism on the country’s ecological well-being. Elephant rides and visits to elephant orphanages are staples of many a glossy brochure but the elephant tourism industry is fraught with controversy (see: Elephants In Asia, Ethically). So-called orphanages and sanctuaries are not always what they seem, and taming elephants for direct human contact can involve abusive training practices – see these magnificent creatures in the wild instead. Most package tours include a visit to tea country, and Nuwara Eliya’s cool weather and crackling fireplaces make it popular as Sri Lanka’s “little England”. But the romance fades during peak season, when the city’s narrow streets can be choked with traffic and garbage. Prefer to get well away from the well-trodden tourist trail? Seek out the following backwaters instead. Just outside the town of Ampara in the south-east of the island, Gal Oya National Park’s remoteness – and bumpy connecting roads – have kept it a relative backwater, usually overlooked by visitors. Built around Sri Lanka’s largest man-made reservoir, the Senanayake Samudraya, Gal Oya’s chief attraction is its population of wild elephants (and leopards, although in smaller numbers). Having adapted to the local ecosystem, Gal Oya’s elephants have learned to swim from island to island in search of food. The best way to spot them is on a leisurely boat safari – this is the only national park in the country to offer one – especially between the months of March and June. The circuitous but scenic drive from Colombo to Gal Oya takes six or seven hours, factoring in a pitstop in Kandy. The Central Expressway linking Colombo to Kandy should ease journey time but won’t be completed until 2020. Travelling by 4x4 or a car with high ground clearance is recommended. There aren’t many accommodation options inside the park. A decent bet is Gal Oya Lodge, an eco lodge that was thoughtfully designed to blend in unobtrusively with the surrounding forest. Stay at least three nights to make the most of Gal Oya. The Knuckles Range gets its name from its distinctive rock formations which resemble the knuckles of a clenched fist. The range was designated a UNESCO World Heritage Site in 2010 for its incredible biodiversity: Its undulating valleys, moss-covered peaks and evergreen cloud forests are home to more than 120 bird species, and more than 50 species of mammals and reptiles. The Knuckles Range is renowned for its birdwatching. Some of its endemic bird species include the small and rare Sri Lanka whistling thrush, the Sri Lanka green pigeon (which has a distinctive green hue), and the dull-blue flycatcher. Kandy, near the foothills of the Knuckles, offers a convenient entry point. The road which meanders through picturesque tea estates is mostly good, and the journey to the heart of the mountains should take roughly an hour and a half. The higher reaches of the Knuckles are challenging to access and require permits, so it is advisable to organise your expedition through a reliable tour operator. For accommodation, the Madulkelle Tea and Eco Lodge is a good choice, with 18 rustic yet luxurious tents that offer spectacular views of low-hanging clouds and mist-covered mountains. The hotel can organise treks, hikes, camping trips and bird watching expeditions. Allow yourself two nights in the Knuckles, plus an additional day if you intend to do any trekking or hiking. Despite its growing reputation as a hipster haven, the hill town of Ella has far more mystique than Nuwara Eliya. Surrounded by terraced tea gardens, valleys and waterfalls, this sleepy village is the perfect launching pad for easy and moderately difficult hikes and treks. According to local legend, Ravana, the 10-headed demon king of Hindu mythology, kidnapped the princess Sita and held her captive in this area – which is why many of its natural attractions are named after him. Of these, the Ravana caves, a network of tunnels connected to the nearby Ravana waterfalls, are arguably the most popular. If you’d rather get off the tourist trail entirely, hire a tuk-tuk from Ella and make the 45-minute trip to Wellawaya, a town unremarkable in itself, but one which offers access to many secluded waterfalls. These include Ella Wala, a rock pool hidden from view by jungle, and the Diyaluma Falls, which has the distinction of being Sri Lanka’s third highest waterfall. The most enjoyable – if time-consuming – way of getting to Ella is by train from Colombo. The 10-hour journey offers views of tea gardens and mist-engulfed towns, and is considered one of the world’s most scenic train routes. Make sure you reserve seats in advance in the first-class observation cars that have large windows. Although you cannot book tickets online, a quality tour operator can arrange tickets for you. Since getting to Ella takes the better part of a day – and delays are common – spending at least three nights is advisable. Pasikudah, an isolated hamlet on the east coast until the end of the war, has become a popular tourist destination. With a number of shipwrecks in shallow water and a couple of deeper Second World War wrecks not too far from its popular tourist stretch, Pasikudah is emerging as a hotspot for wreck diving. Some of the famous wrecks near the Pasikudah coast include the British Sergeant, a British tanker that was sunk during a Japanese air raid in 1942; the Gladys Moller, a transport ship that was wrecked in very shallow waters, and three so-called boiler wrecks that are an excellent training ground for divers looking to improve their skills. An hour away, off the coast of Batticaloa in deeper waters lies the wreck of HMS Hermes, the first custom-built aircraft carrier that was sunk during a Japanese air raid. At a depth of 42 to 53 metres, this is considered one of the world’s great wreck dives, suitable for trained and experienced divers. A few dive shops in Pasikudah organise both easy and more advanced dives. Some hotels in the area also have their own dive schools with PADI-certified scuba trainers and dive masters to accompany you. If you are a serious diver, ensure that you check beforehand about the facilities before choosing a hotel. Pasikudah is an approximately six or seven-hour drive from Colombo, accounting for traffic along the way and breaks. The diving season on the east coast runs from May to October which is also the high season for this coast, so make your bookings in advance. With Sri Lanka’s largest wild elephant population, Udawalawe National Park is a quieter alternative to the frequently overcrowded Yala National Park. (It is also the only national park in the country where an elephant sighting is virtually assured). Just south of the Central Highlands, the park is a four-hour drive from Colombo. Eco-conscious travellers with an appetite for adventure will enjoy staying at Banyan Camp. Just outside Udawalawe’s perimeter, the lodge is built of natural materials, uses recycled furniture and eschews air-conditioning. This isn’t your average resort, so it would be prudent to expect a few surprises. The best time to visit Udawalawe is in the dry season between May and September. Best known for its Buddhist stupas and ruins, Anuradhapura – an ancient capital of Sri Lanka – is at the heart of the Cultural Triangle. But it is also a great nature spot, ideal for contemplative walks along the banks of the reservoirs that were built to serve the once-thriving city. Largely secluded and quiet except for the odd passing vehicle, the reservoir embankments provide a great vantage point from which to spot large flocks of water birds at sunrise and sunset. Ulagalla Resort, near the Wannemaduwa Reservoir, offers eco-conscious visitors luxury within easy reach of Anuradhapura. The hotel also offers private birdwatching tours led by naturalists. Consider spending two nights here, which will give you enough time to visit some of the country’s most culturally significant sites. Anuradhapura, which is in Sri Lanka’s arid north-central province, is easily accessible by train and road and is about four hours from Colombo. The beach town of Bentota, on Sri Lanka’s south-western coast and easily reached from Colombo, is a tourism hotspot – the beaches here are crowded and a tad dirty in peak season. But just half an hour’s drive from busy Bentota is one of Sri Lanka’s best-kept secrets: A dense tangle of mangrove forests on the Madu Ganga river. Part of an inland coastal wetland, they are among the last untouched mangrove forests in the country. Local operators offer boat tours that weave through the mangroves and past small river islands. The best time to visit this part of the country is between January and April.